(Winnipeg May 17) - A citizens group which monitors the hog industry in Manitoba, has cautioned the provincial government, if it goes ahead with its apparent plans to expand production, not to repeat the mistakes of the past. 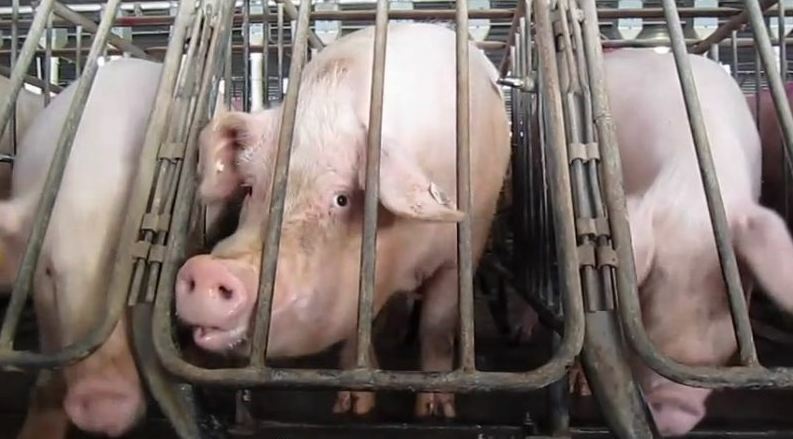 In a recent meeting with three cabinet ministers, Hog Watch Manitoba (HWM) reminded them how “technical review committees,” which used to “oversee” the construction of both hog barns and lagoons designed to hold the waste, overlooked errors in the planning. These errors were so serious, they eroded both the public’s trust of the industry and in government policies relating to it. HWM urges the government to implement the recommendations made by the Clean Environment Commission(CEC) in their 2007 report on Environmental Sustainability and Hog Production in Manitoba. “The CEC recommended reviews of the phosphorus application provisions in manure and further research into phosphorus in soils which has not been done” says Vicki Burns of HWM. “Why are we using taxpayers’ money to fund the Clean Environment Commission if we’re not going to pay attention to their recommendations?” she asks. "The health of our lakes, including Lake Winnipeg, is at risk." The cabinet ministers at the meeting were, The Minister of Agriculture, Minister of Sustainable Development and Minister of Indigenous and Municipal Affairs.